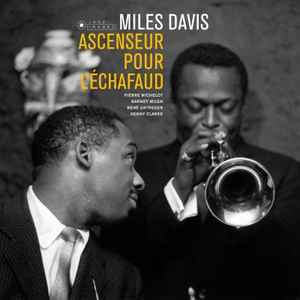 Side A was originally issued in 1958 as Miles Davis - Ascenseur Pour L'Échafaud (Fontana 660.213 MR, 10" LP [France]). Side A & Side B were originally issued in 1958 as Miles Davis - Jazz Track (Columbia - CL 1268, 12" LP [USA]). On the cover: Miles Davis and Kenny Clarke at Club Saint-Germain, Paris, December 5, 1957. Photos Ⓒ by Jean-Pierre Leloir.